Green Apple Day of Service 2015. As part of our 2015 employee enhancements, Boulder Associates staff were given up to 8 hours of paid time to volunteer with a local charity, cause, or event. Last week, a group from our Orange County office used their volunteer day to install carpet for San Ysidro Health Center, a non-profit organization that brings essential health services to some of San Diego’s most vulnerable families. 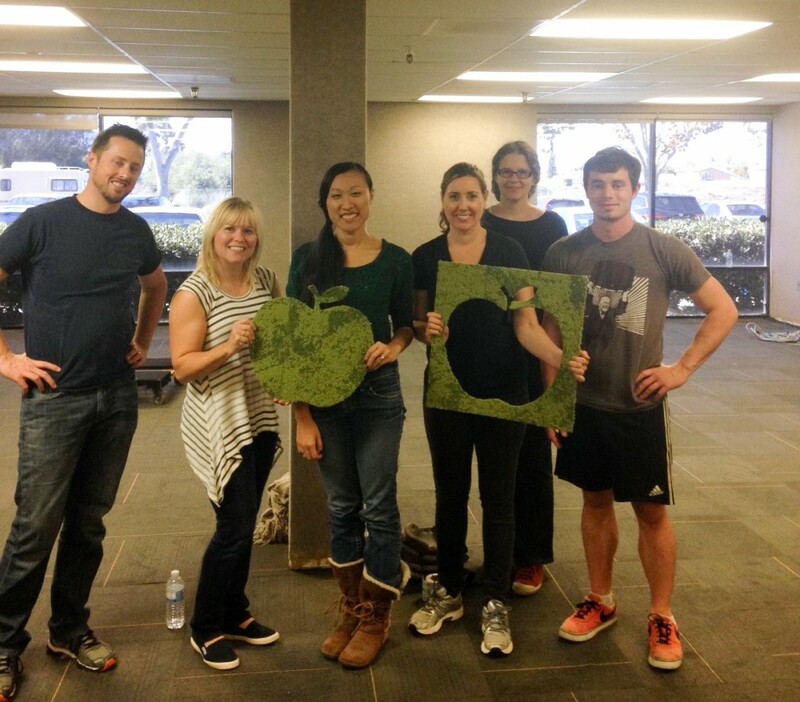 The volunteer day was a part of the US Green Building Council’s annual Green Apple Day of Service, an event that encourages people to engage in sustainable improvement projects. The volunteer team installed over 1,500 s.f. of carpet and 300 linear feet of base in the San Ysidro Health Center’s corporate office thanks to the generous donations of materials and labor by Interface, Johsonite, and DFS Flooring.